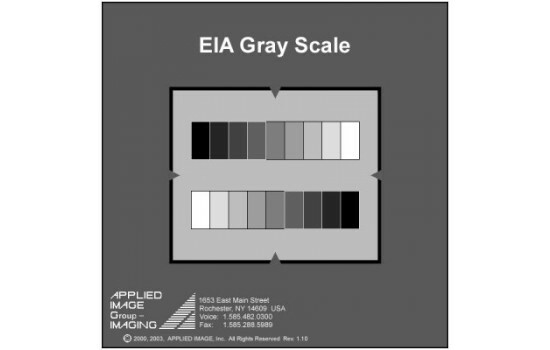 The EIA grayscale pattern is a standard 2" square projection slide. 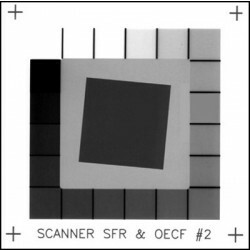 It contains two parallel gray scales. The upper scale has nine nominally equal transmission steps while the lower contains the same number of nominally equal density steps. The transmission values range from 3% to 60%, corresponding to density values of 1.52 and 0.22 respectively. 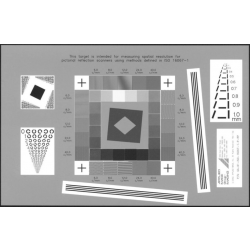 The slide is chrome or opal on glass and densities are achieved by a fine halftone pattern.